CB Passive Income 3.0 Review - Clone Patric Chan's CB Biz? 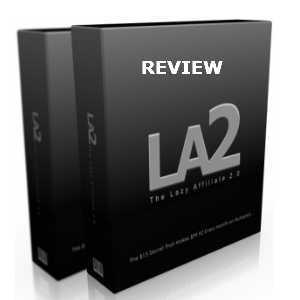 Home » Affiliate Marketing Reviews » CB Passive Income 3.0 Review – Clone Patric Chan’s CB Biz? CB Passive Income 3.0 Review – Clone Patric Chan’s CB Biz? My ears perk up each time I hear about Clickbank training because I still think the CB platform may be one of the easiest to monetize for affiliate marketers. Moreover, I just had to perform this CB Passive Income 3.0 review out of a sense of nostalgia because Clinkbank is where I first launched my affiliate marketing career. In retrospect, would it have been easier to accrue a passive CB income if I initially had Patric Chan’s material? The answer to this question is the crux of this examination. Find out more about CB Passive Income 3.0 and see if I have any regrets going solo without Patric Chan’s formula. CB Passive Income 3.0 Review – What is Patric Chan’s Take on Accruing Passive Income? Patric Chan, like most successful marketers, always look for ways to generate passive income. This is the type of earnings that can happen while you sleep. You can just create a campaign, set it completely up, and watch (or dream) of the income piling up. Think of continuity programs, too. Membership sites are an excellent means of accumulating revenue on a continuous basis. Recurring income programs can reward affiliates without them necessarily performing any additional sweat equity. So any super affiliate wannabe understands the value of passive income. It’s just that there are so many strategies to accrue it, and you have to select a viable course of action. Patric Chan has outlined what he considers a brilliant passive income strategy. In CB Passive Income 3.0, he offers items such as marketing software and a training course as ‘link bait.’ In other words, these tools are used to get folks to voluntarily give you their contact information. You’re simply leveraging these free items to start building a list. The software and course are available via a free web page that Patric and his team also provide to you. In fact, they provide several free web pages, showcasing different offers and gifts – an upgrade from CB Passive Income 2.0. Once you have your share of subscribers, Patric will then take over … or should I say his auto-responder will take over. Messages and free reports will be sent to the members of your list. Within certain email messages, there will be affiliate offers, encoded with your unique affiliate link, where you’ll get credit for the sales. 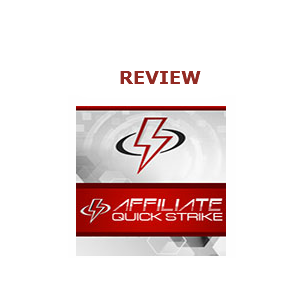 The products promoted are featured on Clickbank. Patric asserts that he chose this platform because all the products are ‘legitimate’ due to CB’s due diligence. (This assertion alone is arguable.) In addition, the commission for CB products, often 50 to 75% of the list price, is desirable and I would agree with that perspective. As a final piece to the puzzle, at least in theory, list members actually purchase CB products and affiliate commission climbs. Step 3: When purchases result, you’ll start seeing that favorable green bar, indicating commission, in your personal Clickbank account. The sales pitch is that creating a high-converting web page (squeeze page) is not an easy feat for a new or even intermediate marketer. And who can dispute that point of view? CB Passive Income 3.0 also notes that their enticing offer converts at a whopping 50% rate. Alright, I’ll give Patric the benefit of the doubt. The system also takes control over what products to promote. Yes, an ultra-successful marketer, like Patric, would have more knowledge on what coveted products to showcase than the average newbie. Ongoing content via carefully crafted email messages is supplied, taking care of an important step for a marketer lacking a strong knowledge base and time. So while the CB Passive Income 3.0 system provides some advantages (e.g., saving money on the domain, hosting, and auto-responder, at least for this purpose), there is a major problem to overcome. Can you guess the primary pitfall in Patric Chan’s 3-step plan? How are you going to get traffic to this page? It’s not as though this special page will have any real, unique content to rank in the search engines for any money-making keyword phrase. Moreover, your special page is really no different than mine, save for a different embedded affiliate code. What’s more important, traffic or conversions? The answer to the trick question is both. A lot of traffic with few, if any, conversions, is meaningless. A highly-converting offer generating little, if any traffic, will not materialize into success. Now, this 3.0 system purportedly takes care of the conversion part. The powers that be are giving you, from their point of view, a variety of impressive web pages with eye-catching opt-in forms, followed by hard-to-resist offers contained in marketing-savvy email messages. But as Shania Twain sang, ‘That don’t impress me much’ if no one sees these masterful, captivating offers. Seriously, how are you going to generate traffic, especially if you’re new to the field or just not established? Are you going to use solo ads which can be costly and ineffective? Are you willing to take your chances with pay per click campaigns? Without having experience in this arena, and having little understanding on those keyword phrases that convert, this is a risky venture. Do you prefer the free route and use social networks, like Google Plus, Facebook, Twitter, PInterest, and the like? Without much of a web presence, you may just hear the sound of crickets than enthusiastic subscribers clicking on the opt-in form. Sure, the program professes to provide free training but this type of instruction can be found for free on YouTube, affiliate marketing forums, marketing blogs, etc. There’s no scarcity of information online, and so the training here will not be unique in scope, or individualized to meet your particular needs. What About Establishing Your Own Relationship With Your List? This CB Passive Income 3.0 review would be incomplete if I did not mention my other concern. How are your list members going to feel when they receive Patric Chan’s email messages? Many may feel receiving such messages is tantamount to spam. You may lose sign-ups quickly – the same folks you may have worked so hard to get on to your list. I suppose you have to throw caution to the wind and have faith in a guru’s plan but those who truly succeed online have responsive lists where list members or would-be buyers feel a sense of trust with the person they’re following. List building is a great idea, the cornerstone of affiliate success. It’s an area that I’ve neglected for far too long. But in truth, you want to build your own list, and ably build a relationship with subscribers. With this 3.0 system, you’re just collecting names (probably very slowly) and hoping that members will buy. This is not advantageous. If you’re read up to here, you realize my review is not particularly favorable towards this product. In fact, I recommend not purchasing this program. However, that said, I believe those who invest in Patric Chan’s system will probably get their $97 one-time investment back, assuming work is done to drive traffic to the offer. Please don’t choose the expensive $37 a month plan if you intend to try the system any more than 2 or 3 months. The system’s creator, Patric Chan, is a highly-successful affiliate marketer from Malasia who is well-known within the affiliate marketing community. He has authored several books (he co-authored the best-selling book, Clicking Cash) and is a frequent guest speaker at marketing conventions Heck, he even provides a testimonial from a Clickbank executive. But despite his glowing reputation, I’m not a 3.0 advocate. On the other hand, I don’t think that Patric deserves some of the vehement criticism that he has received as a result of this opportunity/product. It just does not appeal to me although it’s also not a scam operation. Once you purchase, CB Passive Income 3.0, you may be tempted to buy an OTO or two. Of course, don’t even greet temptation by looking elsewhere to make money online. But for those who still want to at least experiment with Patric Chan’s system, please do so with tempered expectations. 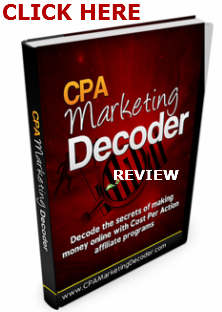 Patric offers the CB Passive Income Pro ($97) where you can use your own auto-responder. Sure, this is preferable to using his auto-responder because then you control the list. There is also a Fast Cash Series ($47/month or $197) where you can learn how to monetize your own WordPress premium theme and plug-in. Sounds great in theory, that is, if you’re a seasoned programmer. You can outsource, of course, but this money-making plan, may be as dubious as the 3.0 system itself. For those who don’t know what to do with their money (sorry, that was harsh) the 3.0 version also offers the Freedom Formula Online Program (S297). But to help you rationalize purchase of the product, Patric Chan offers 3 exclusive bonuses: The Digital Cover Creator Software, the Traffic from Google Home Course, and the Email Assassin Home Course. Nothing revolutionary, there, in my humble estimation. With several thousand CB Passive Income users (this is the third generation of the product), I can only imagine how many subscribers are on Patric Chan’s auto-responder. But as a reminder, most of these referrals are controlled by Patric and not by you. As Patric and company manage your list, you have no control over what they promote and how often (or infrequent) they do so. You also don’t know if these folks are receiving unrelated offers. Once again, I’ll keep the faith that Patric is only promoting your offers. Still, good luck driving traffic to your squeeze page. You’ll receive some training but it can take quite some time before mastering traffic generation. On a positive note, the special pages / opt-in forms are professional and the link bait can prove to be enticing. But again, this is irrelevant if few see the offer. And I can assure you that you won’t be receiving one-to-one coaching with Patric to make your page visible. In essence, this is not a turn-key solution guaranteed to break the bank. Most will get a sporadic sale and it will take some time to get back your initial investment. However, I’ve read other reviews where folks mention getting shut out, receiving 0 sales. There is no Facebook community, and let’s face it, this income won’t be passive because you’re going to be on a never-ending quest to get your page seen. Think of CB Passive Income 3.0 as ‘Dormant profits’ that may very well stay dormant. Again, this is not a scam but that does not mean you shouldn’t avoid it. 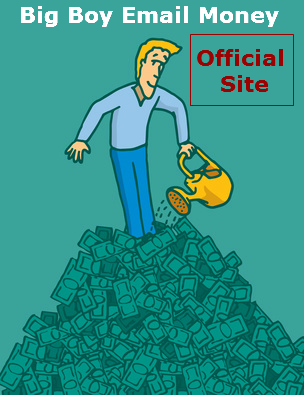 So Where Can You Learn to Grow Passive Income? The Internet can be your school. When people often ask who provides the best coaching, super affiliates typically reply, “Yourself … with experience and trial and error.” I tend to agree. 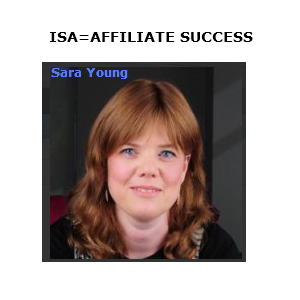 Sara Young – Her Income Steps Academy goes into depth about how to attain a Passive Income. Please check out my Income Steps Academy review from firsthand experience. Anna Macko – She is an affiliate marketing and e-commerce expert. Those wishing to create an online empire, selling physical goods, should see this Loving not Working review. Anna is readily accessible and is a goldmine of information. Yaro Starak – He is my resident expert on all things affiliate marketing. He provides such insightful free and paid advice. His Blog MasterMind 2.0 Coaching is very reasonably priced for the quality of coaching and the potential ROI you can amass. At the very least, download this free Blog Profits Blueprint. Talk about setting up passive income! Are you looking for thought-provoking, informative, and honest reviews for the products you're considering purchasing? Our site provides the most thorough and candid reviews online. Any of our featured products can be purchased on our site at discount where our price is as low as any other competing offer. In addition, we also offer invaluable bonuses for most of the products. Contact us at info@prominentoffers.com to claim bonuses, if applicable. © 2018 Prominent Offers Review Site . All Rights Reserved.